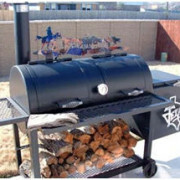 Categories: Backyard Smokers, In Stock, Pipe Smokers. Great for the beach or family reunion. 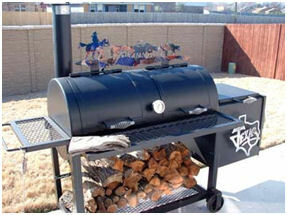 20″ diameter by 42″ long with a 20″ by 20″ square firebox made of 1/4″ new steel to maintain even cooking. 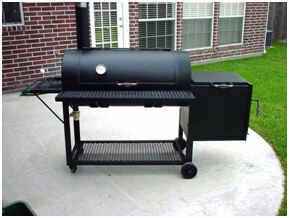 CAPACITY: 1218 Sq inches in Smoker & 400 Sq. 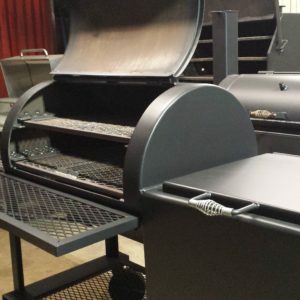 inches for Grilling in the Firebox. 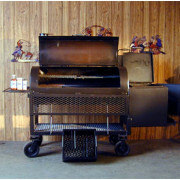 IT’S IDEAL for grilling & smoking and comes with plenty of table space outside, & storage underneath. 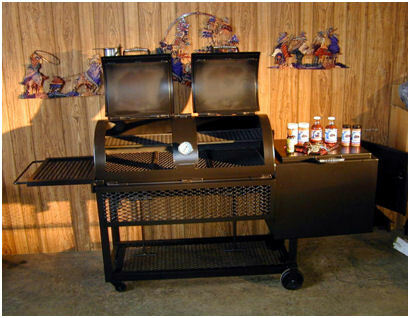 Grill in firebox has 5 level adjustable height for grilling FAJITAS, SHRIMP, BLACKENED REDFISH, & STEAKS, HAMBURGERS, HOTDOGS. 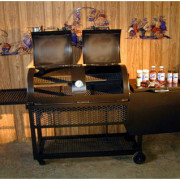 Firebox has a removable 20 pound ash-pan with curved lip for easy Ash-Clean-out. 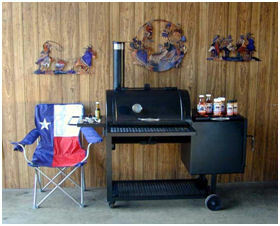 1300 degree heat-paint. 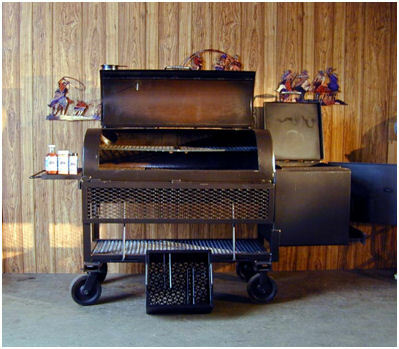 Air-cooled Stainless Steel Handles & Thermometer. 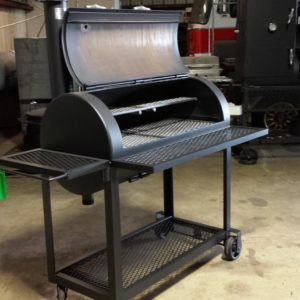 ALL Meat Racks & Half Shelves are framed in Steel Angles for Triple Strength. 10” x 42” Front Folding Table.